Learn Price Action FREE Now! 16 Reasons Why Price Action Trading is so Powerful! Price action provides data most closely representative to real-time trading available to the off-floor ﻿trader﻿. Pit traders are often several steps ahead of other traders because they have direct access to market data. When you trade forex with price action you are accessing first-hand information about the markets, unfiltered by the often ambiguous mathematical ﻿calculations﻿ that characterize indicators. It often pre-empts/flows with fundamental news reports and is not as vulnerable to their volatility as regular indicators are. Most indicator-based systems would tell you not to trade around the times major economic news are released, because the price volatility at such times generates a lot of chaotic, unreliable signals. With knowledge of specific price action signals and adequate training you﻿ ﻿could even exploit news events to reap large profits. Candlesticks do not repaint. Many indicators are notorious for re-painting, especially with rapid changes in price. A trade signal could disappear within minutes, only to reappear at another price junction - and probably taking your stake on the trade with it. Candlesticks however once completed, become cast in stone - they are events in time that cannot be changed. Their price action patterns may not always be easily read or translatable into trade signals, but you can be sure that a candle once completed on the chart would not change its shape, nor would you see a lengthened or shortened wick or tail on it as time passes. It enables you focus on the Number One Indicator - price. Most indicator-based systems contain so many details and require you to check so many variables, you can often barely see the wood for the trees. There is a common truism that as human beings we can only focus on one or two things at a time. The person who trades forex with price action analysis forces and trains himself to focus on what really matters - price and its rapid behavioral changes - and adapt quickly to them. 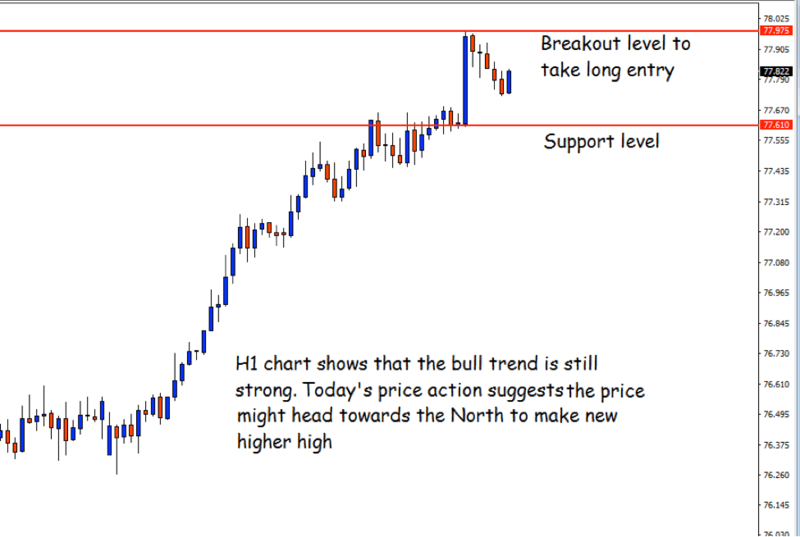 Price action analysis generates valid signals before conventional indicators do. Price action signals enable you identify beginnings, cessations and continuations of trends. They do not lag; in fact by understanding the dynamics of market flow as described in our articles you would sometimes learn to 'ambush' price and wait for it to make easily predictable moves. Price action signals work in all market conditions. One of the major faults of custom indicators and automated systems is that they optimally function when a particular market condition is dominant - the trend may be strong or flat. Once these conditions change - as happens all the time - the indicators or robots begin to under-perform, and users would end up giving some or all their hard-won profits back to the market. Most price action signals however excel in all market conditions, flat or ranging. They are more rational, easily understandable and clearer to decipher. They provide a rational explanation to the often chaotic and otherwise uninterpretable movement of price on the charts. Because they are easily identifiable and unambiguous, they allow the trader focus on developing trade discipline. Once you've decided on the particular candle pattern(s) you wish to monitor, you do not need to spend countless hours trying to 'tweak' your trading system. With a good grasp of money management and risk/reward targets you would be able to focus on improving your objectivity in trading the market. Price action analysis and signals are based on completed candlesticks, hence no need to sit and monitor charts for long periods. Whether it's a fifteen-minute, four-hourly or weekly chart you use when you wish to trade forex with price action, because you can only make valid decisions off completed price bars you can easily plan your chart time around the completion of these bars. This allows for much less anxiety and reduces second-guessing and interfering with your trades. Price action signals are even more reliable on higher time frames, allowing one to profit more while spending more time away from the charts. Most trading systems read trends better and generate fewer false signals on higher time frames. 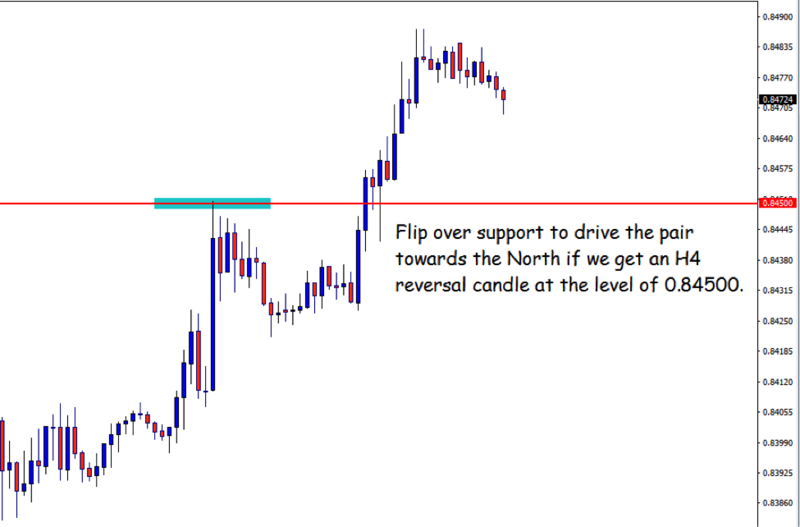 Reading price action enables you take even better advantage of higher time frames and increase your profit potential. Some specific price action signals are among the most accurate trade signals available. Pin bars for example provide excellent profit opportunities for scalpers as well as longer-term traders; taking such signals in line with major support and resistance zones leaves little room for error compared to using trend indicators or similar tools. It enables one set entry prices, stop losses, and profit targets with better accuracy. Because one is able to concentrate directly on price dynamics instead of on what various indicators are saying, one is better able to keep in line with price movement and predict its behavior. It enables one assess Support and Resistance zones more correctly, and predict and interpret how price interacts at these zones. Locating and identifying support and resistance points is central to succeeding in any financial market, and trading the forex is no different. With an intimate knowledge of price action signals one can deduce where price would act in relation to these zones often long before conventional indicators would. 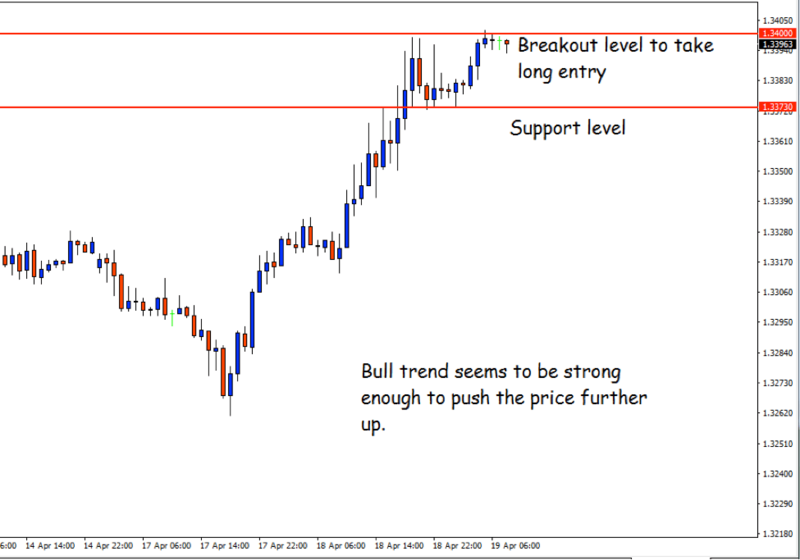 Price action analysis can be used on any time frame, so adapts to different trading patterns. Though shorter time frames tend to be noisier and throw off more false alarms, by assessing support and resistance areas, drawing trend lines and channels, Fibonacci ratios and the like, one could develop several highly profitable trading systems even when learning to trade forex with price action on the shorter time frames. It works with all currency pairs. Since it describes the actual activities and psychologies of the traders who trade these pairs, similar principles behind price movement apply across the currency pairs, and the more you trade forex with price action the easier you would find it to identify repeating patterns. Price action analysis is based on fundamental dynamics of market movement, and so won't be outdated. It is a well-known fact that automated systems never work successfully ad infinitum; eventually their performances decline. Various indicator fads may come and go, but price action principles will remain for as long as the financial markets are in existence and are fueled by the forces of supply and demand, and warm-blooded human beings with their varied emotions participate in them. You will receive our email on our trading journal of past trades and how we made our decision to enter into either long or short position. With each chart, you will get detailed breakdown how various repeating chart patterns that you can learn to exploit in future. You will not be overwhelmed by too much information and theories. These are real trades that we have executed in the past and you get access to our trading journal. Gain Access Now to Our Price Action Trading Journal Today for FREE!